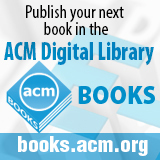 Welcome to the March 27, 2015 edition of ACM TechNews, providing timely information for IT professionals three times a week. The American Association of University Women (AAUW) on Thursday released a report warning the gender gap in the technology sector is widening. "What we found is that not only are the numbers low, they are headed in the wrong direction," says AAUW's Catherine Hill. She says changes need to be made across the professional pipeline, from college curriculum to hiring and retention practices, in order to encourage more women to envision themselves as having a place in the tech sector. The report found only 26 percent of computing professionals were women in 2013; this percentage was substantially lower than what it was 30 years ago. The numbers were even lower in engineering, where only 12 percent of working engineers were women. Women of color earned only 6 percent of computing and 3 percent of engineering bachelor's degrees in 2013, despite representing 18 percent of the college-aged demographic. Leading Silicon Valley companies say only 20 percent or less of their technical staff are women, but women also are underrepresented in non-technical roles and rarely make it to the board room level of both major tech companies and startups. "I believe engineers and computer scientists are made, not born," Hill says. "It's a question of exposure and opportunity." Next month, teams from around the world will engage in a dress rehearsal for the U.S. Pentagon's Cyber Grand Challenge, a competition to develop automated hacker-fighting software. The challenge's final event will be held in Las Vegas next year and the winning team will be awarded $2 million. The competition is being managed by the U.S. Defense Advanced Research Projects Agency (DARPA), which held an unofficial 24-hour test run last December, just to see if the competitors' vulnerability-obliterating software would function. The competition has attracted a range of teams, including startups, academics, and defense industry giants. One team, For All Secure, recently received a $750,000 grant enabling team members to take time off from their jobs to devote themselves to the competition. Dan Guido, co-founder of New York-based Trail of Bits, says his company hopes to at best break-even if they win. Both teams will be facing off against Raytheon's Deep Red team, which won the unofficial dry run in December. Although DARPA hopes the challenge will result in autonomous software that can defend networks from malicious activity on its own, many of the participants see that goal as far fetched. For All Secure's David Brumley says such technology is unlikely to exist in the next decade, if ever, and he argues humans will always be required to counter the attacks thought up by human attackers. University of Oxford professor Michael Osborne believes robots will fundamentally change the shape of the workforce in the next decade. He co-authored a study predicting computers could overtake 47 percent of U.S. jobs in the next 20 years. The research found the jobs most at risk to automation include data entry keyers, referees and umpires, and waiters and waitresses. More secure roles include clergy members, choreographers, and funeral attendants, according to the report. Osborne says creativity, social intelligence, and perception are three key bottlenecks to automation that will ensure humans are still needed. "What unites those bottlenecks is the fact that humans possess a very deep reservoir of tacit human knowledge about the society and culture we find ourselves in," he says. The study also found those earning higher salaries and holding at least a bachelor's degree were the least likely to be affected by job automation. "To me this was probably the most alarming finding in our study because it suggests that the people least well equipped to move into new forms of employment are those who are going to feel the burden of automation resting most heavily upon their shoulders," Osborne says. More than 120 of the country's engineering schools have pledged to graduate at least 20 students per year who will be specially prepared to tackle some of the large-scale problems of 21st century society. The goal is to train more than 20,000 formally recognized Grand Challenge Engineers over the next decade, according to a letter to U.S. President Barack Obama. The National Academy of Engineering (NAE) and the U.S. National Science Foundation developed the Grand Challenges, which include securing cyberspace, enhancing virtual reality, preventing nuclear terror, engineering better medicines, making solar energy affordable, providing access to clean water, and restoring and improving urban infrastructure. The training model was inspired by the Grand Challenge Scholars Program (GCSP) established in 2009 at Duke University, Olin College, and the University of Southern California. There currently are 20 active GCSPs and more than 160 NAE-designated Grand Challenge Scholars have graduated to date. The group says half of the graduates are women, versus 19 percent of U.S. undergraduate engineering students. Clemson University researchers found universities with locally available supercomputers are more efficient in producing research in critical fields than universities that do not have supercomputers. The research for the first time puts data behind the long-held assumption the U.S. is more competitive by investing in high-performance computing. The study was based on a National Research Council survey of 212 institutions, including 177 universities with high or very high research levels. "For the nation, it is unequivocal that a high-performance computing system will provide an advantage in doing research in several fields," says Clemson researcher Amy Apon. She says the research will give policymakers data to consider as they decide whether supercomputers are economically feasible. "This is a critical first step in creating a model for evaluating investments in high-performance computing," says Clemson's Paul W. Wilson. As part of the study, universities were divided into haves, which included institutions that had supercomputers in the Top500 list, and have-nots, which were those that did not. "The study's results reaffirm that computing is centrally important to research and a wise investment that helps the nation maintain its competitive edge in science, engineering, and technology," says Clemson chief information officer Jim Bottum. Researchers at Israel's Ben Gurion University say they have developed a method of retrieving data from or sending simple commands to an air-gapped computer using heat emissions and a computer's built-in thermal sensors. Air-gapped systems, which are computers isolated from the Internet and not connected to systems with Internet connections, are used in various applications, including classified military networks, payment-processing networks, and industrial control systems. The Ben Gurion researchers' method requires two computers: an air-gapped system and an Internet-connected system. Both computers have to be infected by malware the researchers developed, called BitWhisper, and must be within 40 centimeters of each other. BitWhisper works by raising or lowering one computer's internal temperature in a way that can be detected by the other system's internal thermal sensors. The changes in temperature are then interpreted by the BitWhisper malware as binary bits that can be used to send very basic commands or retrieve information such as a password or encryption key. The researchers used BitWhisper to command an air-gapped system to reposition a toy missile launcher. Further research could increase the effective range of the attack and enable it to function with a variety of Internet-connected devices, not just PCs. There could be up to 19 million new technology- and engineering-related jobs created worldwide over the next 15 years, according to a recent Corporate Executive Board (CEB) report. The report highlighted seven core technology and engineering functions that will experience growth thanks to vendors and corporate information technology (IT) organizations. The Big Data talent pool will increase more than 500 percent by 2030, which would make it the second-most popular science, technology, engineering, and math (STEM) field if the prediction holds true. "Over the last few years we have seen a shift in corporate IT budget allocations away from traditional process automation systems, such as [enterprise resource planning], toward spending in areas such as analytics," says CEB managing director Andrew Horne. He predicts "changes in hiring as companies need more experts in areas who can structure and interpret big data." Product management also is one of the seven fastest-growing fields. The report notes product management approach increasingly is deployed in terms of internal operations and how IT works with the rest of the corporate structure. "By offering products and services, rather than technologies, IT makes it easier for the rest of the organization to understand what they get from IT, and creates an environment when product plans can be quickly updated as business needs change," Horne says. Qatar Computing Research Institute scientists have studied tweets in Arabic generated by people who support the Islamic extremist rebel group ISIS and those who oppose it to determine what factors people in each group have in common. The researchers also examined each individual's history of tweets to see whether their pre-ISIS tweets reveal any common factors that might predetermine their subsequent support or opposition. The researchers started by collecting 3.1 million Arabic tweets mentioning ISIS created by more than 250,000 users between October and December 2014, of which 165,000 had active accounts before ISIS was established. The researchers found tweets demonstrating support for ISIS tended to use its full name, the Islamic State in Iraq and the Levant, or some variation of this, while tweets that opposed ISIS were more likely to use the abbreviation. The researchers also studied the historical timeline of tweets of more than 7,000 pro-ISIS users and an equal number of anti-ISIS users to look for features in common that could predict their future support or opposition. The researchers say they developed "a classifier that can predict future support or opposition of ISIS with 87-percent accuracy." Researchers involved in a project funded by the U.S. Air Force Research Laboratory and the Defense Advanced Research Projects Agency are describing a machine-learning system as a fundamentally new approach to cybersecurity. DeepCode is designed to analyze terabytes of software code to find security flaws and fix them. Draper Laboratory, formerly part of the Massachusetts Institute of Technology, and a group from Stanford University led by machine-learning pioneer Andrew Ng, are behind the project. The researchers are using machine-learning and pattern-analysis techniques to teach the system what good code and bad code look like. Once DeepCode is trained to recognize vulnerabilities, it will be able to identify flawed code and recommend repairs. The team already has used the system to detect vulnerabilities such as the Heartbleed bug in OpenSSL, and is now working to increase the magnitude of data for making decisions by a factor of 1,000. "The system collects and ingests massive amounts of software, makes this software searchable, indexes the known bugs and security vulnerabilities, and identifies--in new or existing code--matches to any previously identified flaws," says Draper Lab's Brad Gaynor. Chalcogenides could lead to all-optical computers that use the neural network paradigm and have fast, inexpensive memory, according to the University of Southampton Optoelectronics Research Center's Dan Hewak. He is collaborating with researchers in Singapore to study the highly light-sensitive material. Chalcogenides darken in color as light passes through them, and Hewak's team has exploited this process of absorbing photons when exposed to light in neural network experiments. "The glasses 'remember' how much light they have been exposed to, and depending on the wavelength of the light, this memory can be temporary or permanent," Hewak notes. Moreover, he says they can respond equally to weak light, exposed for a long time, or intense light for a short time. The all-optical cognitive computer would not need to convert its optical signals into electrical signals. All parts of the neural network would use optical material, and the computer would be the first with no need for electrical stimulus. For the future, Hewak's researchers are working on increasingly smaller diameter chalcogenide fibers so eventually their all-optical cognitive computers can rival the minuscule sizes of electronic computers. They aim to come close to the human brain in terms of power efficiency. Researchers from Spain's Supercomputing Center of Galicia (CESGA) and the University of Santiago de Compostela have embarked on a joint project to enable far-flung musicians to play concerts with minimal latency, featuring live experimental rehearsals with two geographically dispersed musicians working with innovative music technologies in Europe. "In our project, a video is also created, so there are additional requirements in all aspects of the chain: the bandwidth, reliability, and latency in communication of the video signal; as well as the processing capacity of the servers, imaging and projection systems, wiring, etc.," notes CESGA's Natalia Costas. The effort employed LOLA technology from Italy's Conservatorio Giuseppe Tartini di Trieste. The technology is not expensive, but complex in terms of the strain placed on network infrastructure, and communications must be low-latency and high-bandwidth when video is used. "It is highly important to minimize latency in order to play or record melodies, as this affected the rhythmic impulse of the piece played," says Galician musician Pablo Novoa. In the experiments, he performed several musical pieces with a violinist 2,700 kilometers away in Italy. The researchers say the technology is applicable in music education, distance performances and rehearsals, or high-end videoconferencing, and Costas says there are potential uses "in other fields, such as telemedicine, in which audiovisual communication with minimal latency is important." New Mexico State University professor Wei Tang was inspired by the human brain to create a system of state-of-the-art miniaturized sensors that can detect, transmit, and reliably process valuable data. Tang wants to use conventional sensor technology with his new design strategy to construct better circuits and create a bridge between the human body and the environment. "The challenge of designing wearable devices is to make sensors that require very, very low power consumption and have a very, very small circuit area," he says. Tang notes the brain is an asynchronous non-weighted machine, while a computer is a synchronous weighted machine. It is his goal to replace synchronous devices with devices that work more efficiently, such as the human brain. "We developed a radio device with small circuits," Tang says. "We want to demonstrate that this radio can communicate to another radio using very-low-power consumption." The researchers plan to put a small integrated circuit on a hat with a small battery to extract EEG brain wave information. They also are planning to create an energy-harvesting device using energy from vibrations or solar energy, which would enable the sensor to become power independent. Oregon State University professor and Association for the Advancement of Artificial Intelligence president Thomas Dietterich says he is more concerned about potential ways artificial intelligence (AI) might fail or be abused by people than he is about it wiping out humanity. Dietterich is referring to a recent $10 million contribution made by Elon Musk to the Future of Life Institute to support AI safety research. Dietterich says he agrees with Musk that AI safety issues need to be addressed, but disagrees about the potential magnitude of those issues. He is more worried about the ways AI, which increasingly is trusted with high-stakes tasks such as driving cars or handling weapons, could fail or make mistakes that put people at risk. "We need to be conscious of this risk and create systems that can still function safely even when the AI components commit errors," Dietterich notes. He also is concerned powerful AI could be used to carry out cyberattacks on computer networks. "The biggest risk is that those algorithms may not always work," Dietterich says. "We need to be conscious of this risk and create systems that can still function safely even when the AI components commit errors." He believes Musk's contribution will help to tackle several of these issues by enabling further research through open grant competitions.